This Storage Box is delivered without contents. It offers space for all Feldherr Half-Size and Full-Size foam trays up to a maximum height of 150 mm. The Storage Box M is made of coated, double-walled cardboard. This makes it not only pleasantly light, but also particularly tear-resistant and stable. With the matching foam tray, miniatures and game material can be stored safely and dust-protected and can also be transported effortlessly with the plastic carrying handle. 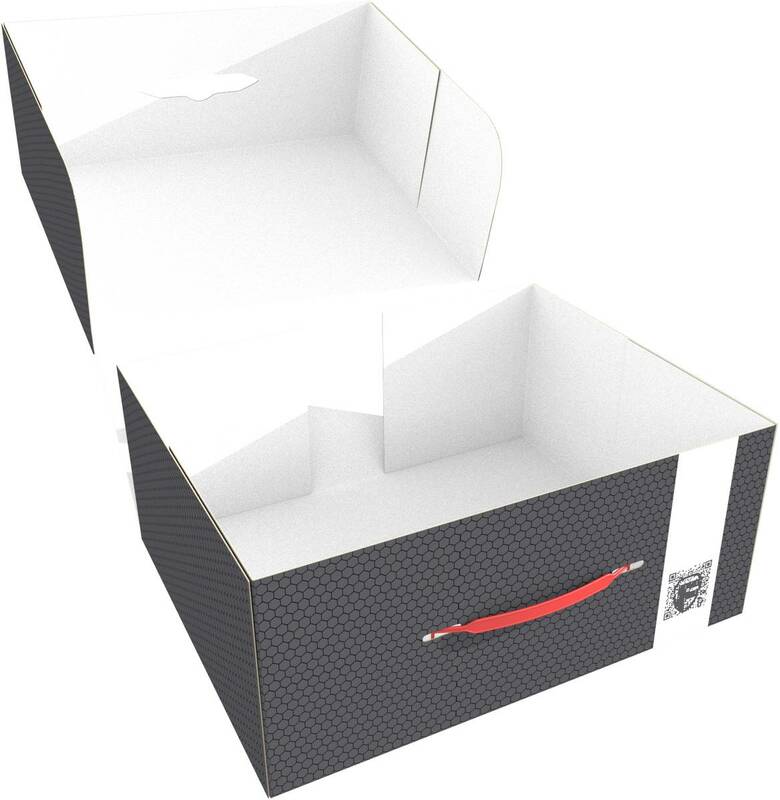 To make it easier to store and remove the foam mats, one side of the box can be opened completely. The trays are either inserted from above or simply slided into the box from the side. The boxes are delivered flatfolded. They are quickly folded and ready for use in just a few steps. Unused boxes can just as easily be folded flat again at any time to save space. Therefore, you can simply order a few more and always have a box ready when the next game or expansion arrives. If you want to transport several Storage Boxes over longer distances, the Feldherr Transporter is the right choice. The bag holds 4 boxes of size M. Due to the standard dimensions, further combinations with our other storage boxes are also possible.